This lady is totally nuts. Nuts about handbags. 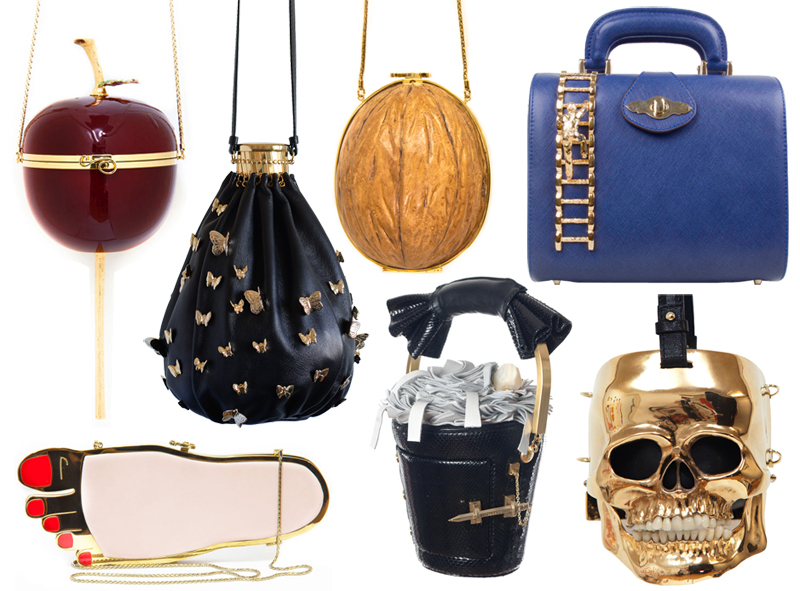 Nuts about designing them and having bags be pieces of artwork in and of themselves. She even has a bag in the shape of a nut. Inés Figaredo is a lawyer turned designer, and I thinks she has a great sense of fun. Certainly not conventional, her designs feature a foot, skull, hen, walnut, and basically anything else under the sun that takes her fancy. All beautifully crafted. Check out the video below as Inés’ Big Girl Face Bag is being made.